Are you ready for 2016? The New Year is a day away and there are so many events planned to usher in 2016. From New Year’s Eve celebrations to New Year celebrations and weddings, my Instagram feed shows people are definitely excited for the New Year. 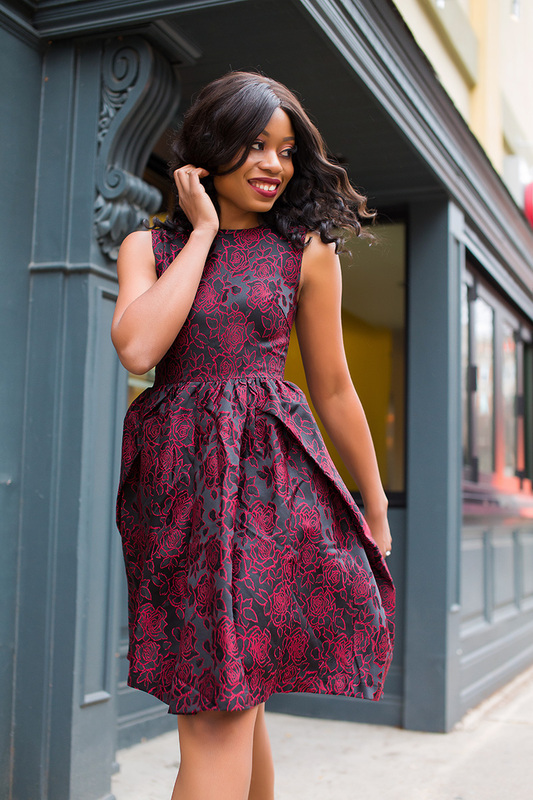 This wine jacquard dress will be great for an event you plan on attending in the New Year especially weddings; I love the deep wine color and rose details. 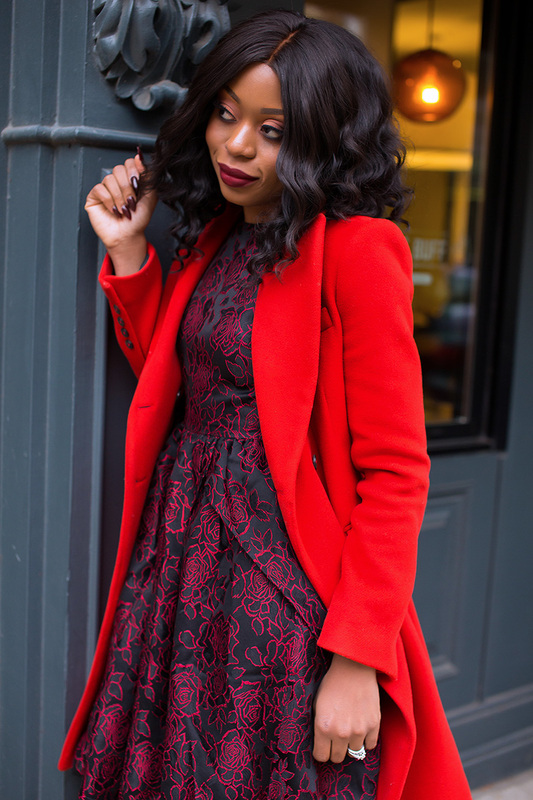 Though a simple dress, it is unique for the prints and subtle design on the waist. I will wear one of Chicwish ‘s dresses for my next event...trying to decide between this baroque mustard dress and this white and black dress. Great dress choice for the NYE.Not only is it beautiful but it can be worn to another function. this is so beautiful, for new year i like the white and black dress but just want to see how you look and style the mustard one. This look is so stunning!! 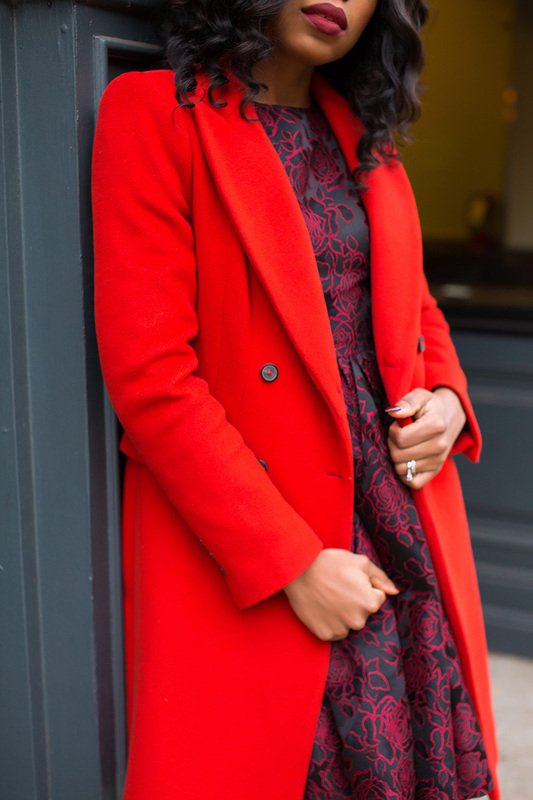 I love the dress so much with the red coat. Happy new year and all the best, may all your wishes come true!